Understanding Augmented Reality addresses the elements that are required to create augmented reality experiences. The technology that supports augmented reality will come and go, evolve and change. The underlying principles for creating exciting, useful augmented reality experiences are timeless. Augmented reality designed from a purely technological perspective will lead to an AR experience that is novel and fun for one-time consumption – but is no more than a toy. Imagine a filmmaking book that discussed cameras and special effects software, but ignored cinematography and storytelling! In order to create compelling augmented reality experiences that stand the test of time and cause the participant in the AR experience to focus on the content of the experience – rather than the technology – one must consider how to maximally exploit the affordances of the medium. 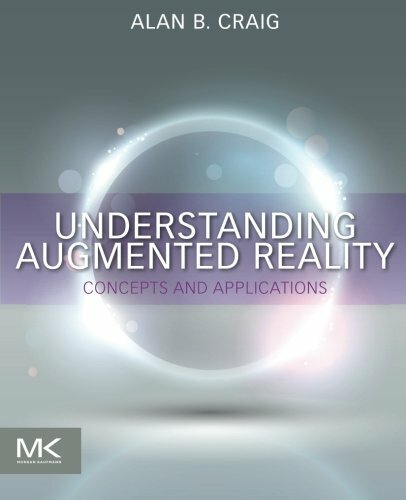 Understanding Augmented Reality addresses core conceptual issues regarding the medium of augmented reality as well as the technology required to support compelling augmented reality. By addressing AR as a medium at the conceptual level in addition to the technological level, the reader will learn to conceive of AR applications that are not limited by today’s technology. At the same time, ample examples are provided that show what is possible with current technology.